Travertine is a special stone that comes in variety of different finishes. Travertine comes in what is defined as filled and unfilled. Meaning that travertine stone has natural holes that run throughout the stone. The filled travertine is exactly what means, the holes are filled presenting the stone with a smooth finish floors or other areas of your home. Have you ever wanted to have your travertine floors polished? Whatever you want to do as far as restoration for your travertine floors, Modern Stone Care has the knowledge, training and experience for travertine polishing. We use top of the line diamond pads along with formulated compounds when working with polishing to get the excellent quality for flooring. The travertine polishing technicians at Modern Stone Care can resolve almost any issues you might have encounter with having travertine. We’re experienced at fixing cracks and chips so well your floors look brand new. The solutions we use are both tender for the surface and environmentally friendly, everything that is brought up to the surface is vacuumed without leaving any traces. Our technicians use the proper travertine polishing techniques by cleaning tiles and removing debris. The floors will be smooth out with sanding circular motion. The intensity of the shine can vary from a honed matte like finish to a medium shine we can offer to a high gloss mirror like effect. The amount of fill blade marks, open pores can affect the shine quality especially when choosing to go with shinier finishes. Travertine at it’s finest when finished to a high gloss. 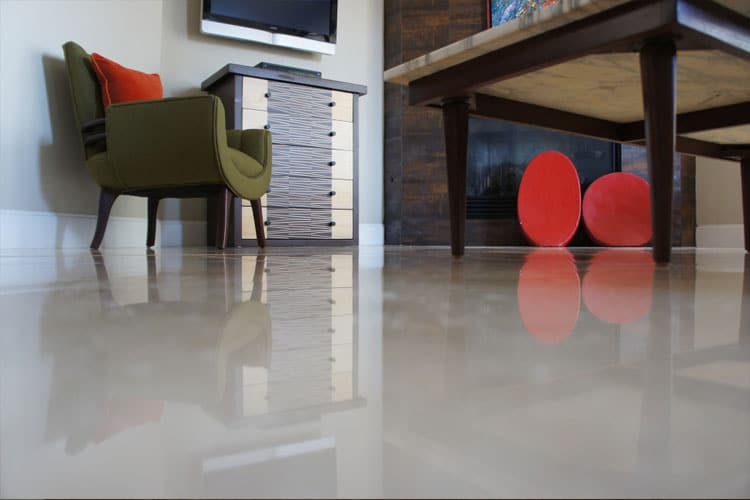 Homeowners can sometime be deceived by the confusing terminology when dealing with travertine polishing by the less diligent companies for a shiny travertine finish that can lead to expensive consequences later on. The best method to achieving the shine you want for your floors is to use diamond polishing. You’ll get the high gloss shine you want with great clarity with our polishing services. For further information about travertine floors and why having them polished would make an excellent addition to your home contact the natural stone flooring experts at Modern Stone Care.